A few weeks ago I met a lovly woman called Amanda Barlow who is the driving force behind SpieziaOrganics – a Cornish company, whose skin and body care products are all handmade locally, and use only 100% organic ingredients. I have recently tried two of their innovative treatments HeadinHeaven at the spa at Brown’s Hotel in London and a body treatment. 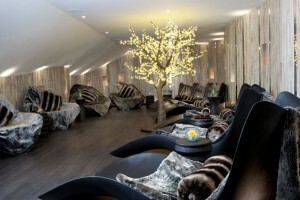 TheDreaming, a signature therapy at the newly opened Spa at the Headland Hotel in Cornwall. The former is one the most relaxing I have ever had, I was practically in a coma, and not sure I was safe to head off to the traffic of Piccadilly afterwards. It uses techniques taken from Traditional Chinese Medicine, from Tuina massages and acupressure points – the latter specifically on the face which not only eases tension and tight muscles but also helps release any blocked up fluids around the eyes. Spiezia has for the last couple of years organised MadeforLife days in Cornwall and has been supported by the Macmillan nurses and a local breast cancer unit TheMermaidCentre, at which the HeadinHeaven treatment has been used as a support for those during and after treatment for cancer. Similarly, TheDreaming was created by the Headland spa manager with the help of two of Spiezia’s Made for Life therapists…and again it was uber-relaxing. This time I didn’t worry about how I felt afterwards because all I had to do was recline and admire one of the most beautiful coastlines in England. Spiezia is gradually becoming a name in UK spas and its products are available on-line…but it’s name doesn’t sound at all Cornish! Amanda explains that the brand is named after the doctor who helped first formulate it…and while I admire her generosity of spirit…I just wish I knew how to pronounce it properly.